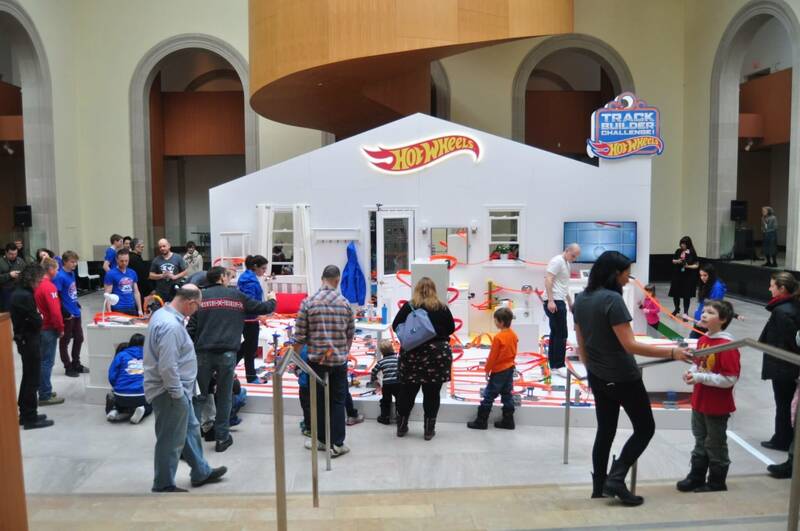 Hot Wheels Canada recently launched The Hot Wheels Track Builder Challenge with the help of their agency TrojanOne. To kick off the new nationwide track building competition, TrojanOne designed and built Canada’s first Ultimate Track, which will be featured in an interactive exhibit at the Art Gallery of Ontario (AGO). The Ultimate Track took the TrojanOne team three months to design and 15 days build. Comprised of over 1000 pieces of track and connectors and 79 boosters, the Ultimate Track stretches over 625ft in the 25 x 25 exhibit space. The exhibit set was designed to reflect a house, showcasing some of the creative ways you can build with track at home. These interactive components were created using a combination of Livestream Broadcaster devices, multiple GoPro cameras to capture all the action, custom micro- controllers/electronics, and a specially designed user interface on hotwheels.ca. Onsite at the AGO using Twitter-Activated technology, visitors will also be able to turn on the Ultimate Track’s porch light by sending a Tweet using a set of specific hashtags. The team of Track Experts was selected based on the core skills that would be required to build a track of this scale, while still finding a way to make it relatable to young fans. Comprised of engineers, creative technologists, architects and parenting influencers, the Track Expert team came together to ensure the Ultimate Track stood up to its name. 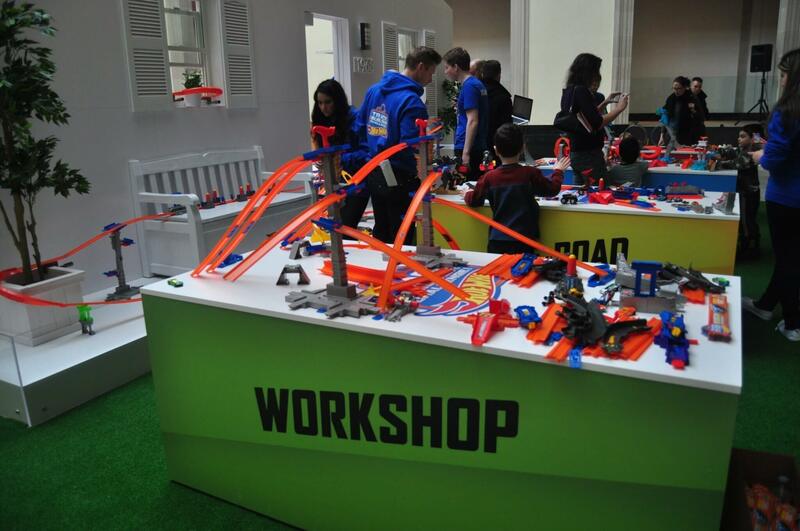 In addition to the exhibit, a new Hot Wheels Track Builder Challenge nationwide contest will be housed on http://www.hotwheels.ca. Kids can learn from the Track Experts in the Tips & Tricks section, and have the opportunity to submit their best Hot Wheels tracks for a chance to win a custom built track in their home, and a Track Party hosted by Hot Wheels.